This cute tabby just wants to lay down comfortably, but the guinea pig has claimed the cat’s bed and refuses to budge! The kitty doesn’t know what to do, and it’s clearly frustrating the little cat. It’s amusing to watch the two “battle” it out, with the guinea pig refusing to surrender the bed. The guinea pig just won’t move an inch! 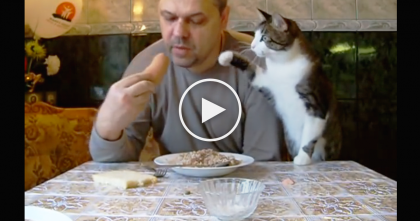 Poor kitty cat; she tried to move him nicely—SHARE this funny video with a friend! 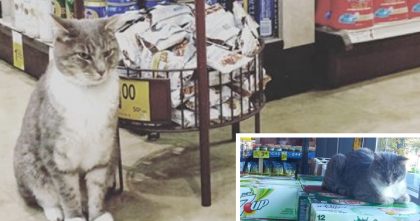 This Kitty Goes To Safeway Every Day For One Special Reason… This Is Adorable!! 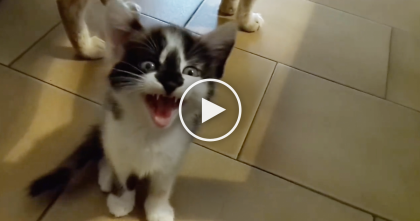 Turn Up Your Volume, Because You’ll NEVER Hear A Cat Meowing Like This… OMG. 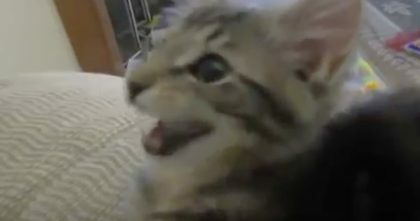 Cat Notices A Bug On The Wall, But Just Listen The Sound He’s Making… Oh My Goodness, What? !